Gear up for Bike to Work Day and Bike to Coffee at participating coffee shops for discounts and specials – just for riding your bike! 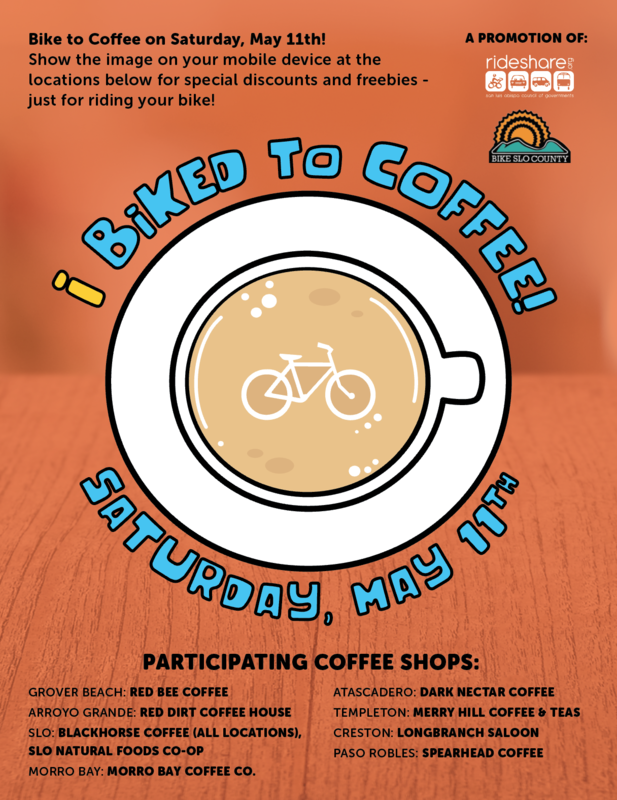 Bike to Coffee Day is a joint effort of SLO Regional Rideshare and Bike SLO County to encourage active transportation and celebrate bicycling. Show this image on your mobile device at the locations below for special discounts and freebies. Are you a coffee shop owner interested in participating in Bike to Coffee Day? Let us know! !